There are times in life when working with an experienced therapist is a good option for re-framing life’s experiences or dealing with difficult situations and issues. You might be considering counseling to better manage a difficult circumstance, improve a relationship, or adjust to a life transition. 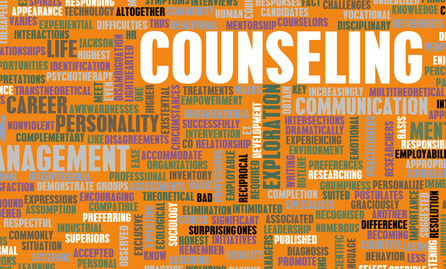 Yet, prior to seeking individual counseling, you may feel a sense of uneasiness as you wonder what you can expect from your therapy sessions. I do my best to provide a safe, non-judgmental space in which you can reflect, explore, increase insight and plan approaches which lend itself to better peace of mind, improved relationships and increased satisfaction with self. While counseling is certainly about sharing and reflecting on thoughts and experiences, it should also challenge you to dig deeper and reveal insights into what has influenced certain behaviors, how you may be perpetuating unhealthy actions or relationships and what course of action is optimal for your future. If you are discontent with your path in life, you can utilize the benefits of counseling and begin approaching life, circumstances and relationships differently, rediscover parts of yourself ignored or seemingly lost, and redefine yourself through a new lens. The counseling process begins with an assessment phase. During these initial sessions, I’ll ask you to describe yourself, your struggles, your relationships, your work, the nuances of your daily life, your life’s goals, and what you hope to gain from therapy. From here, I develop plan incorporating specific techniques and modalities to best serve you and your goals. I’ll suggest the frequency with which I think it best to attend sessions and a general description of how I plan on working with you, what we’ll be exploring and reasons for doing so. I always include my clients in the process to help increase their insight and empowerment. Ultimately, my clients lead their own way as I feel that is the only respectful stance I can take as a therapist. While I will have clear suggestions and options from a therapeutic standpoint, I will respect a client’s choice to move at the pace they want, set the frequency of sessions they are comfortable with and make changes when they are ready. I will always voice my opinion and attempt to challenge, but will respect my client’s boundaries, hesitancy and options. If you are interested in learning more about me, my practice, the therapeutic process, or have a personal question concerning your reasons for seeking therapy, please don’t hesitate to contact me. Sylvia Flanagan, MFT is a San Diego therapist with a private practice in Mission Valley. For more information about San Diego Counseling, feel free to call or email her. Office hours are Monday through Thursday 10:00 am through 6:00 pm.